This tribute beautifully reflects all the love and sympathy in your heart. 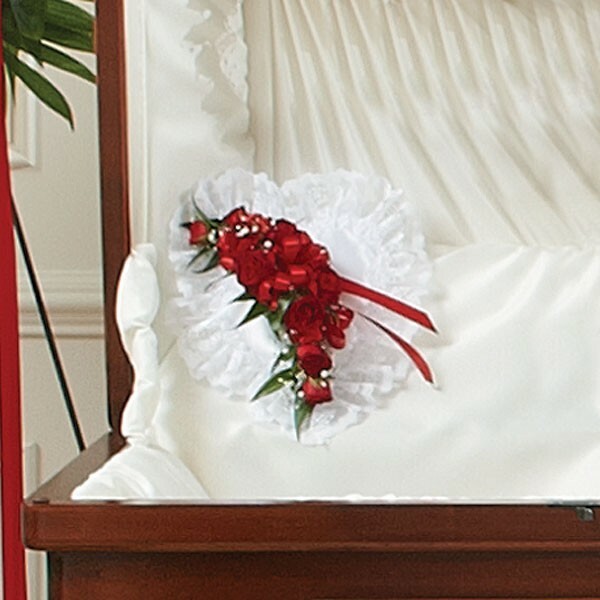 This satin casket pillow in the shape of a heart is adorned with red spray roses, baby's breath, satin and greenery. Sympathy and funeral flower arrangements from Plantshed.com, your local Manhattan florist, hand delivering flowers all across NYC.